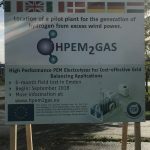 Please find an interview with Prof. Sven Steinigeweg and Alexander Flat on the HPEM2GAS Project by HI:Tech CAMPUS via this link. Please note the interview is in German. The electrolyser system has arrived in Emden and has been installed on the field test site! Please see the pictures below of the progress. Below you can find the agenda for the Project Workshop on 12 February 2019! Click here to register if you would like to join us! 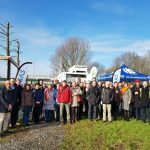 Register for the HPEM2GAS Project Workshop! 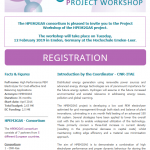 The registration for the Project Workshop of HPEM2GAS has opened! If you wish to join the event, please follow this link for the registration module. HPEM2GAS Field Test site construction in full swing! 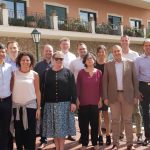 The HPEM2GAS project had its succesful sixth general assembly in Taormina, Sicily, hosted by CNR – ITAE. The event took place on the 9th of October 2018. 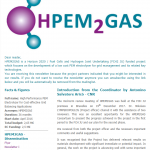 The third HPEM2GAS newsletter has been published. To read the newsletter, click here.